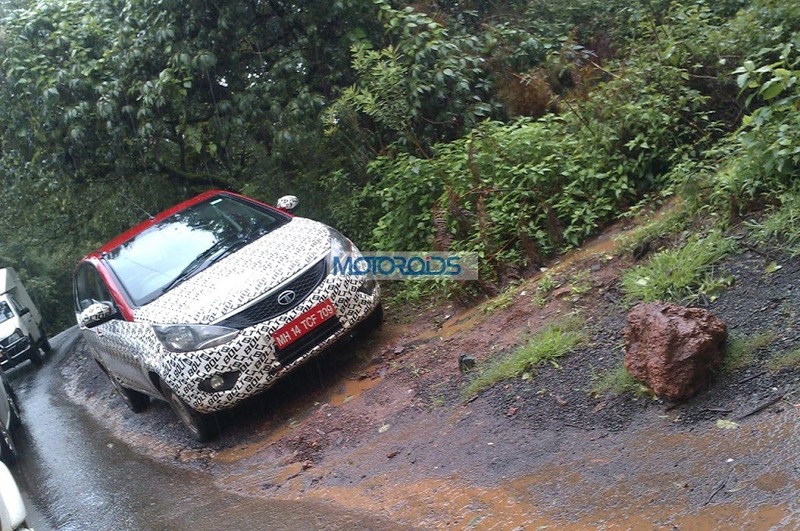 Motoroids reader caught testing the TATA Bolt in hilly region of Mahabaleshwar. The vehicle was camouflaged reading its name all over the body. Similar creative camouflaging was also seen on the zest creating a buzz. The Vista based hatchback which is expected to commence production by the end of the year has already been revealed with revamped interiors, exteriors and new engine options. The test mule had projector headlamps and alloy wheels missing but was equipped with fog lamps which certainly means it might be a mid variant. 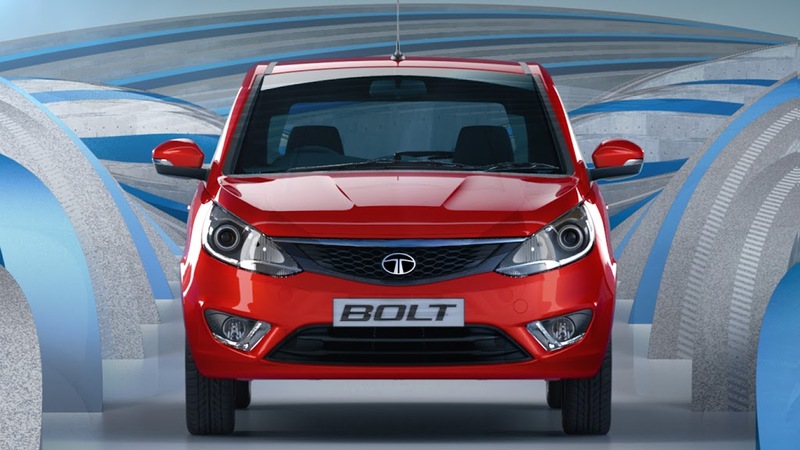 Tata Bolt was earlier announced to be available with two engine options. The highly advanced 85 PS Revotron 1.2 litre turbo-charged petrol engine and the tried and tested fiat 1.3 litre Quadrajet diesel engine churning out 75 PS and 190 NM of torque.